Emil Meynen, born in Cologne on 22 October 1902, studied at the universities of Cologne, Leipzig, Innsbruck and Berlin and obtained his doctor’s degree in geography at Cologne in 1926. After having been assistant to Professor Albrecht Penck in Berlin, he was awarded a Rockefeller Fellowship for three years of study in the United States (1929–1932). These were years in which he gained great experience. After his habilitation in Cologne (1935) he went to the university of Berlin as a lecturer, where in 1942 he was appointed Assistant Professor in geography. In 1937 he became scientific secretary of the Zentralkommission für wissenschaftliche Länderkunde Deutschlands (Central Committee for Regional Studies of Germany) and at the same time editor of its Forschungen zur deutschen Landeskunde (Regional research studies of Germany). He held this post until 1970, editing the amazing total of 186 volumes. In 1942 Emil Meynen was appointed Head of the newly founded Abteilung für Landeskunde im Reichsamt für Landesaufnahme (Department of Regional Geography of the Land Survey Office) in Berlin, a position which he retained without interruption after 1945 at various temporary locations. The Department continued under his guidance until it was taken over by the Government of the new FRG and established in Bonn-Bad Godesberg (1953) under the name Institut für Landeskunde (Institute of Regional Geography), later renamed Bundesforschungsanstalt für Landeskunde und Raumordnung (Federal Research Institute for Geography and Regional Planning). He retired in 1969 as Director of this Institute. In 1942 Meynen founded and edited the Berichte zur deutschen Landeskunde (Bulletin of Regional Studies of Germany) containing papers and documentation on geographic literature and since 1944 also on topographic and thematic maps. Another serial publication was the Bibliotheca Cartographica (1959–1972), an international bibliography of cartographic literature started by the Institut für Landeskunde in cooperation with the Deutsche Gesellschaft für Kartographie (German Society for Cartography). Among Meynen’s tasks was the preparation of thematic maps (for instance of electric power lines, gas supply and water distribution at scales 1:300 000) for government administration and planning. In cooperation with the Statistisches Bundesamt (Federal Office of Statistics) the Institut für Landeskunde published in 1970 a National Atlas entitled Die Bundesrepublik Deutschland in Karten (The Federal Republic of Germany in Maps) based upon census results and mainly containing maps at the scale 1:1 Million. It is worth remembering that Meynen introduced thematic computer mapping into his Institute as early as the 1960’s. In 1949 Meynen founded the biennial Geographisches Taschenbuch (Geographical Pocketbook) and in 1966 the Orbis Geographicus (Geographical World Dictionary), publications of great value for geographiers and all who have a professional interest in geography. 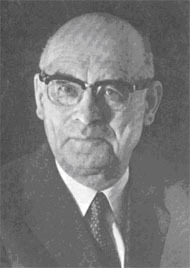 From 1952–54 Meynen was chairman of the Committee on Geographical Names of the Deutsche Gesellschaft für Kartographie, while from 1954–1977 he was chairman of the Ständiger Ausschuss für Geographische Namen (German Permanent Committee on Geographical Names). For many years (1967–1984) he was a member of the UN Group of Experts on Geographical Names. His Bibliography of Gazetteers and Glossaries 1947–1979 is considered a standard work. In 1962 on the occasion of the UN Conference on the IMW 1:1 000 000 in Bonn, Meynen prepared a bibliography of literature on this map series and at the end of the conference he surprised participants with a printed copy of the IMW legend in colour, produced overnight, which the meeting had just agreed upon. With regard to ICA, Professor Meynen attended the First General Assembly in Paris in 1962 as member of the FRG delegation. He participated in all ICA conferences until 1982 and prepared the ICA Bibliography 1956–1972, one of the first ICA publications. On the proposal of Past-President Imhof he was elected chairman of the ICA Commission on Definition, Classification and Standardisation of Cartographic Terms in 1964, which resulted in 1973 in the publication of the Multilingual Dictionary of Technical Terms in Cartography, with 1400 terms and definitions, the former in fourteen, the latter in five languages. Soon after its appearance Meynen started working with his commission on a second, even more extensive edition, the manuscript of which was completed in the early 1980’s. For his extremely valuable contribution to cartography and to the Association in particular, President Ormeling presented him with the Honorary Fellowship during a special session of the Deutsche Gesellschaft fur Kartographie in Kiel in 1983. For obvious reasons it was not his only distinction, in 1955 he became Honorary Professor of the University of Cologne. He was honoured with the Robert Gradmann Medal in 1967, the Alexander von Humboldt Medal in gold (1969) and the Carl Ritter Medal in gold (1978). He was elected Honorary Member of the Deutsche Gesellschaft fiir Kartographie (1969). The Central Committee on Regional Studies on Germany elected him as their Honorary President (1986) and the IGU Working Group on the History of Geographical Thought made him its Honorary Member. His has been a career to be proud of.